People have been dehydrating food since cavemen started spreading pieces of meat, nuts, and berries out on rocks to dry in the sun. Dehydrating might just be the oldest method of preserving known to man, but it is still one of the best. Thankfully, we no longer have to wait for a sunny day to dry our food so we can store it until we need it. If you live on a homestead or are fortunate enough to have a large garden, then dehydrating veggies and fruits is probably on your to-do list for fall. 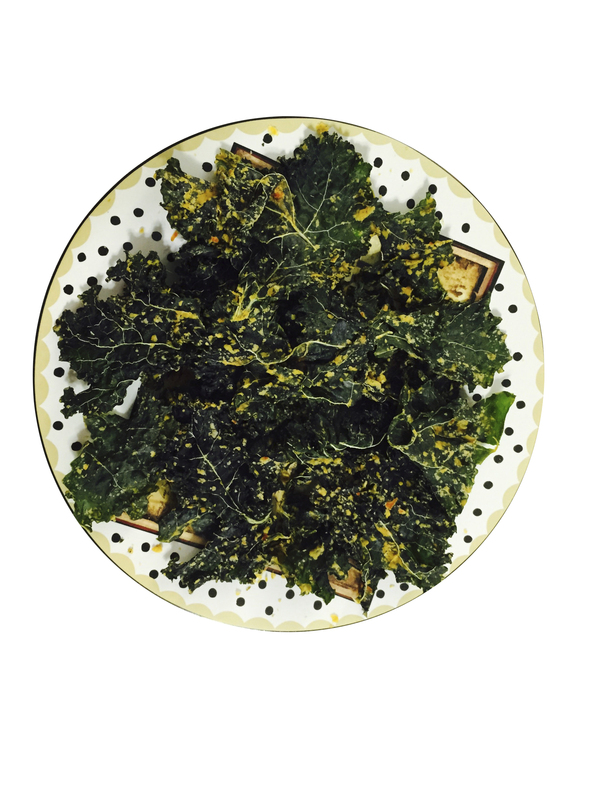 You can dry bulk produce, or make healthy and delicious snacks like crunchy “cheezy” kale chips in your dehydrator. 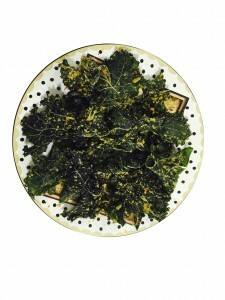 Dehydrated veggie chips add extra nutrition and crunch to salads, and are a healthy topping for soups. When dried until brittle, veggies can be crushed into a powder and then used to flavor foods like burgers and smoothies. Similarly, dehydrated fruit can be made into fruit leathers, or added to cereal or smoothies. Or, it can be eaten out of hand as a snack. Did you know it’s important to not to dehydrate produce at temperatures higher than 105 degrees Fahrenheit? Gentle, dry heat preserves living foods like veggies and fruits without killing them. Temperatures above 105 start cooking the food, which destroys important enzymes and results in some loss of nutrients. You might even want to try your hand at making jerky or pemmican. For the uninitiated, pemmican is a high-energy food that hikers often take on long treks, especially in cold weather. It’s a wonderful food for preppers to keep on hand because it keeps practically forever. Pemmican consists of powdered dried meat mixed with rendered fat, with maybe a few berries added. The Inuit people have been known to live on nothing but pemmican and melted snow for weeks at a time. If you’d like to try making pemmican, Mark’s Daily Apple has a great recipe, complete with photos. This entry was posted in Preserving and tagged dehydrating, preserving on October 14, 2015 by Homesteader's Supply. Growing up, apple jelly on a toasted English muffin was one of my favorite breakfasts. When I discovered a recipe for apple cider jelly on the internet a few years ago I knew it was going to be my new favorite. I bought a gallon of fresh pressed cider and got to work. It took me several tries to get apple cider jelly right, and we ate a lot of ice cream with apple cider topping (code for jelly that didn’t set up). Apple jelly from the crab apples on my ancient tree was much easier. I couldn’t figure it out. A neighbor came to pick apples and we talked about my apple cider jelly problem compared to the simple, dependable apple jelly. “Do you simmer peels in the pot,” she asked? I didn’t. I learned that day that there’s a lot of pectin in apple peels. I peel two apples, simmer the peeling in the cider, and remove the peels before pouring the jelly into jars. Problem solved. Add the peels to the cider at the start. Mix spices into sugar if you’re going to make spiced apple cider jelly. Methods of making jelly and jam vary between brands of pectin. Follow the directions provided in your pectin. 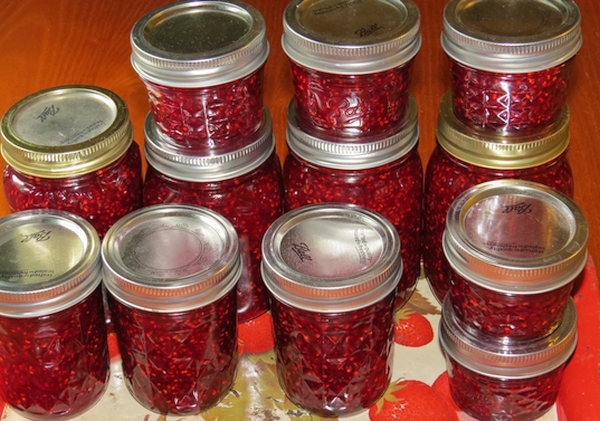 Remove peels before pouring the jelly into jars. Old school canning told us to fill the jars, cover the jelly with paraffin wax and allow to cool before adding a cover. Another formerly accepted method didn’t use paraffin. We tightened the jar lid and turned the jars upside down until they sealed. We know now that these aren’t the best methods. You’ll find great information including how to hot water bath your jelly in Preserving With Pomona’s Pectin by Allison Carroll Duffy. A homemade biscuit or English muffin with a pat of homemade butter and jelly or jam is one of my favorite breakfasts in winter. This entry was posted in Canning, Homesteading, Recipes and tagged food, preserves, preserving, recipe on October 1, 2014 by Homesteader's Supply. 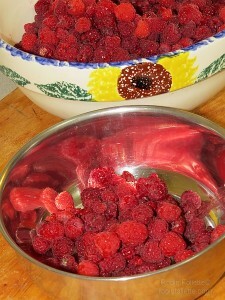 Mid-July, raspberry time. The canes are loaded, it’s been a good year for raspberries. Picking gallons at a time barely makes a noticeable dent in amount of berries to be picked. 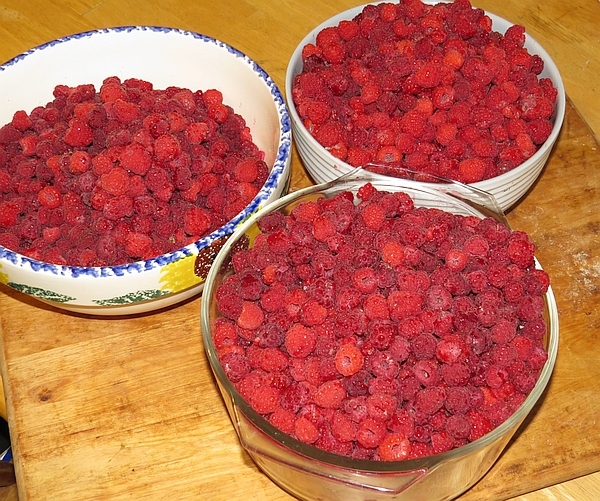 It’s time to make raspberry jam. Lightly mash raspberries, one cup at a time. You’ll have five cups of mashed berries when you finish. 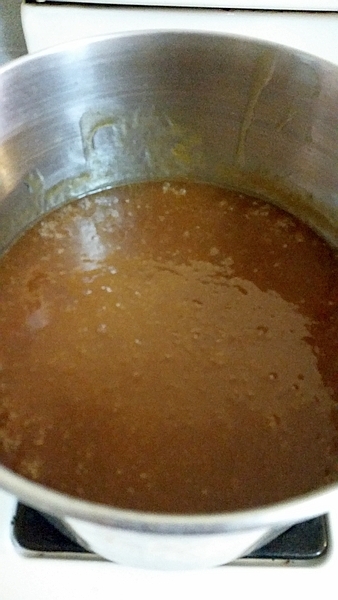 Move mixture to an eight quart pan and heat to a simmer over medium heat. When simmering, stir in sugar. Bring to a boil that can’t be stirred down and continue to boil for 60 seconds, stirring constantly. 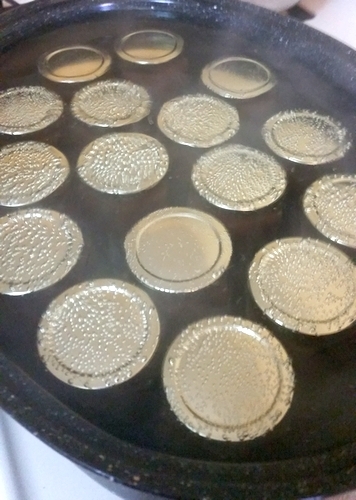 Ladle into hot, sterile jars. Wipe the rim clean with a damp cloth. Place sterile lids and rings, leaving a 1/8″ air space, and hot water bath as recommended. 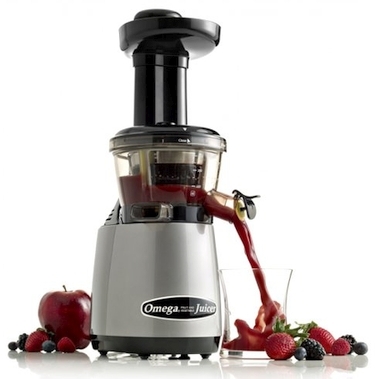 If you’d like to make jelly you can use one of our juicers to speed the process. If you’d like to do this by hand, freeze the berries, let them thaw, and strain the seeds out. 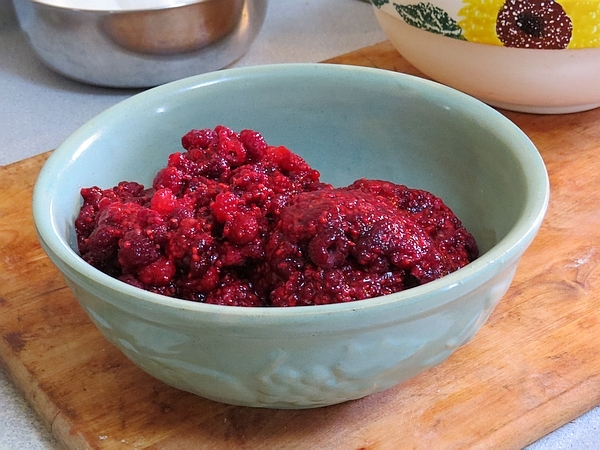 Frozen berries are much easier to juice than fresh. There are so many things to do this time of year that being able to freeze the berries and make jelly later is a great convenience. After thawing the berries you can heat them to around 100*. Don’t cook, just heat. Remove the juice you can pour out easily, then hang the remaining berries in cheese cloth to drip into a pan. When the dripping slows to an unproductive rate, give the cheese cloth a gentle squeeze to get the last of the juice. Raspberry Jam. Imagine a warm biscuit and jam this winter. This recipe is different than the jam recipe in a major way. This recipe doesn’t use pectin. You might need to make it a few times to get it just right. If it’s too thin you can use it as pancake syrup, on ice cream or in smoothies. It won’t be what you were aiming for but it won’t go to waste. Mix together. Heat to a gentle boil. Skim off any foam that settles at the top. Continue to boil for 20 to 30 minutes. When your spoon is lightly coated the jelly is ready to be jarred. Ladle into hot, sterile jars, leaving a 1/8″ head space. Wipe the rim clean, place lids and rings on, tightening the rings to “finger tight.” You want it tight enough to keep water out but loose enough to let air escape during the hot water bath. This entry was posted in Canning, Homesteading, How-To, Preserving, Recipes and tagged preserving, recipe on July 29, 2014 by Homesteader's Supply.